When asked what is the greatest need at the Fond Blanc orphanage, I find myself saying without hesitation: education! 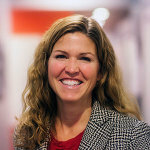 Hiring teachers who will show up to teach. Having a classroom that is safe and conducive to learning. Books. School supplies. Back packs. A place where the children can find hope and a future. Although we have many needs for these children, this one resonates with me. In my world, the children are required to go to school. They have beautiful classrooms and schools and wonderfully educated teachers. We all take this for granted. I find myself telling my children that they have to go to school, it’s the law. In Haiti an education is a privilege. 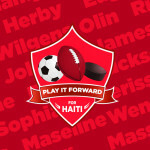 That’s where Play It Forward for Haiti came in, and we did indeed pull out all the stops. We used all the resources we knew could help, we put together an amazing team to support it and we engaged a community of champions to rally together for these children. We had UW-Madison athletes that donated their time to play. We had a local bakery and jam maker donate their treats. We had Bucky Badger. We had incredible donations for a rock-star silent auction. We had a dunk tank, where the temperature of the water was irrelevant. We had volunteers…lots and lots of volunteers. Through all the craziness and fun, we raised over $34,000 towards the children of Fond Blanc’s education! Not only was this a day of fun, but we shared the news about what is being done in Fond Blanc. We loved having Swenson, Alison and Molly, back in Madison from Haiti, to help tell the story about our Child Sponsorship program. We celebrated our communities desire to help. We joked about keeping our goals low for the event, but what actually happened far exceeded anything we could have fathomed. In addition to the children now having a year of schooling, we will also be able to start our much anticipated transition program for our older children. We strive to give them all an education, as well as a plan for their future! Hope. Mostly we savored God’s blessings on this event, as we knew that His presence is what really made this possible.